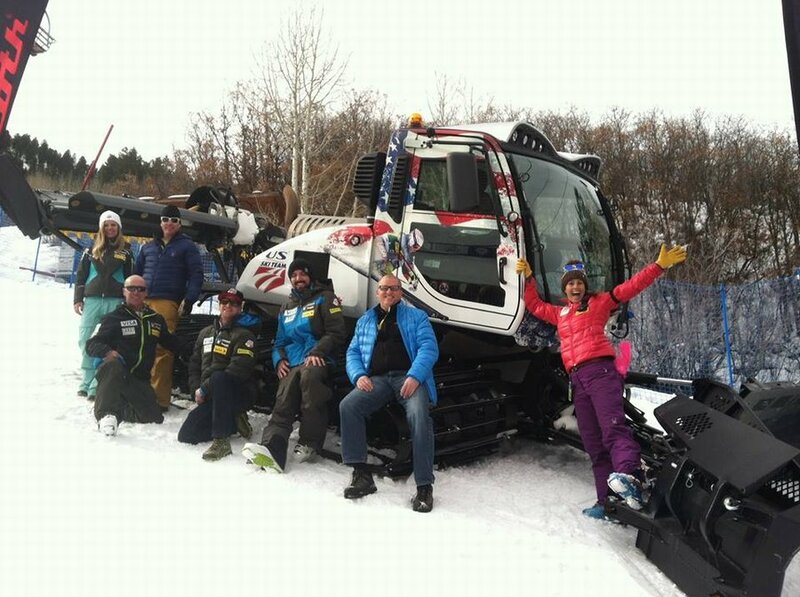 The keenly anticipated groomer platform from Prinoth sports a new look and promises better performance. It’s also packed with brand-new features guaranteed to make even the most crusty terrain park builder swoon. The groomer won’t be going into production just yet, but the industry will get a preview look at a handful of demonstrations that Prinoth is staging at different ski locations this season. “We will be having five demo vehicles that are going to be running throughout North America this winter,” says Jean-Claude Perreault, Prinoth’s vice-president of Sales. The plan, he says, is to do a very targeted introduction of the new platform with different customers to build up anticipation in the ski industry. The move follows the introduction of the Bison XPT park groomer by Prinoth just last winter. 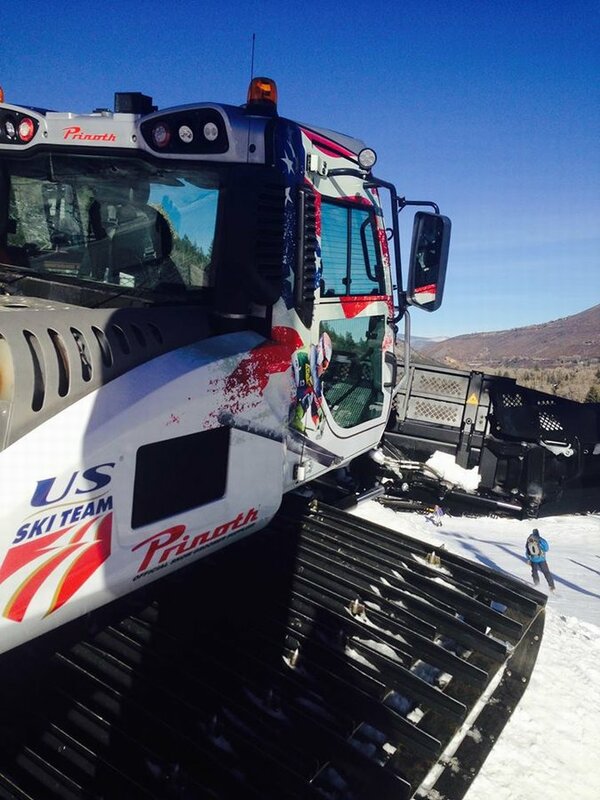 According to Perreault, it’s a natural progression in the company’s commitment to providing exceptional machines for terrain park building and maintenance. 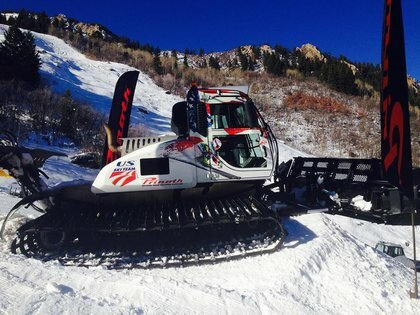 “The Bison XPT was introduced last year as an evolution to the Bison X,” explains Perreault, adding that the Bison X set the standard for terrain park groomers when it first entered the market. “Now the XPT version is bringing a bit more to the table, and the reaction has been very good,” he says. Prinoth’s new platform is being developed with the new Tier 4 engine technology, and was necessitated by new engine emissions regulations from the U.S. Environmental Protection Agency. 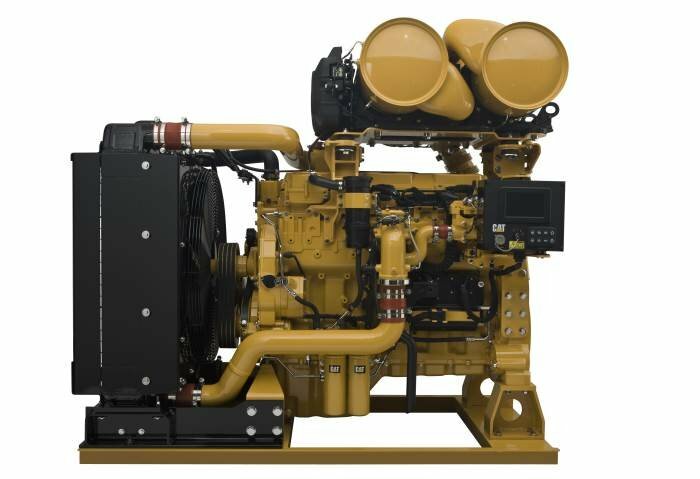 These new engines, that Prinoth calls “Clean Motion” will reduce dramatically the NOx emissions and diesel particles. This new platform will provide the first groomers with Tier 4 final engines to hit the snow in North America. The new model will also replace the company’s existing groomers, the Bison and the BR 350. “This is a very big change for vehicle manufacturers to go from Tier 3 engines to Tier 4 engines,” says Perreault. “We decided that while going to Tier 4 to take the opportunity at the same time to combine these two models that were playing in the same field and create a new vehicle with better performance, a new engine, and a lot of new features for the park industry. “We really have the park needs in mind from the start, so we were able to design in things that weren’t possible before,” says Perreault. He points to Prinoth’s relationship with Snow Park Technologies as a big reason why. The two companies announced last year they were forging a long-term partnership related to the development and marketing of Prinoth snow groomers dedicated to terrain park and pipe building. 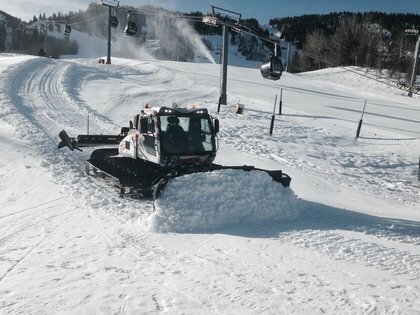 Snow Park Technologies is one of the leading names in snow sports, having designed and built hundreds of Winter X games courses and other competition facilities the world over. One feature that will really enthuse park groomer users, says Perreault, is a new sliding operator seat that can move sideways within the cab. “The driver can sit on the left-hand side in the cab to do precise cutting of features or to do half-pipe grinding, but then they’ll also be able to slide to the center of the cab to do more general pushing and for when they want to have broader visibility,” he says. Philippe Gosselin, Prinoth’s marketing manager for North America, says the new vehicle is in final stages of development, but promises it won’t look like or even operate like any groomer the company has produced before. “On a technical level, it’s really outperforming anything that’s out there presently,” he says. “We have made lots of efforts with design firms to have something really good looking,” Gosselin adds. 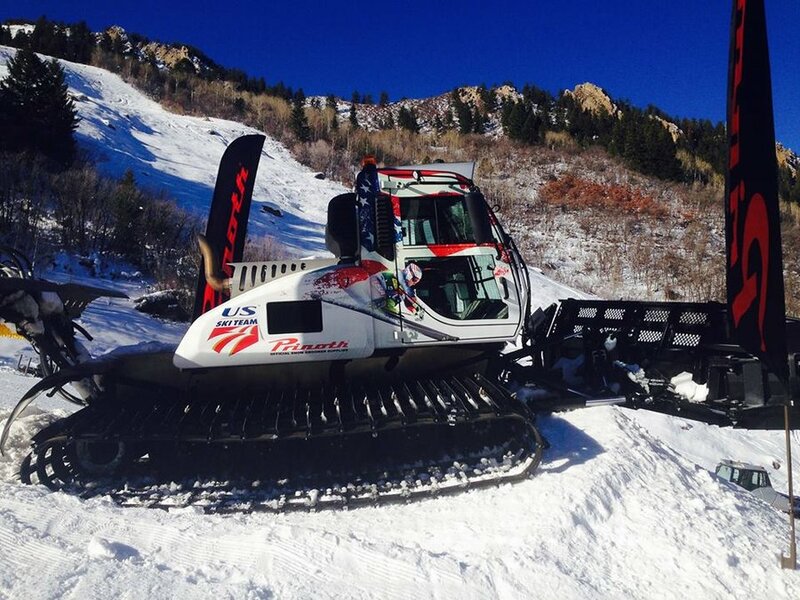 Whatever its final form, the new Prinoth groomer is shaping up to be a huge hit with terrain park crowd.